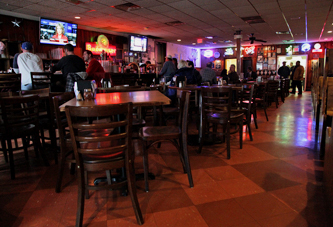 Owned and operated by the Vayianos family since 1980, Star Tavern is now run by Gary Vayianos, a former attorney, who will tell you that it isn't the result of any secret ingredient that makes what the New York Times calls "superior" pizza. Star Tavern's fame and good fortune is as much a result of the generations of families who go there as it is the consistently good & inexpensive food you get there... time after time, after time. "The Star," as it is affectionately called, sits in the far northern end of Orange, a wisp away from Glen Ridge, Montclair, and West Orange. Star Tavern's clamorous kitchen, in full view to the customer and always active with hand signals, voices and swirling ingredients, is open until 11 PM Tuesday through Saturday and 10 PM on Monday & Sunday for table, booth and take-out service.